CATANIA – A Sicilian mafia clan plotted the assassination of journalist, Paolo Borrometi, in order to halt his interfering investigations into their activities, a judge said on Tuesday. Following a series of death threats addressed to Borrometi, Italian police managed to intercept a conversation in which clan members vented an urgent need to take out the journalist. 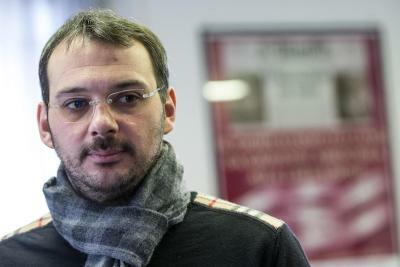 Paolo Borrometi, editor of a probing, anti-mafia website LaSpia.it, has been under police protection for the last four years. Whilst this doesn’t come as the first strongly worded threat, the journalist’s precarious situation appeared to be rapidly intensifying. However, investigators deemed it highly likely that a violent mafia-organised attack was imminent, seeking to “eliminate the troublesome journalist,” the judge, Giuliana Sammartino, said. The distressing discovery surfaced while police were investigating a separate assassination attempt, catching several member of the Cappello clan discussing plans for Borrometi’s murder. The murder had allegedly been ordered by Salvatore Giuliano, believed to be the boss of a Syracuse-based mafia clan. Giuliano had been scheming alongside Giuseppe Vizzini, heavily linked to the Cappello clan, as the pair were said to have “shared a common criminal purpose,” according to findings in the preliminary investigations. Sammartino ordered the arrest of Vizzini and two of his sons, Simone and Andrea, on Tuesday on suspicion of planting a bomb in the car of lawyer, Adriana Quattropani. She had headed a successful case against a company managed by Vizzini’s wife, which had fallen into bankruptcy. The Roman Press Association released a statement on Tuesday morning expressing their solidarity with Borrometi, praising his valiant endeavours to uncover “the less visible mafias in Sicily.